A Bonus Money member got this beauty of a payout on the weekend. $25,250 in matched betting profit with just one back and lay bet!!!! How did the big win come about? Saturday is always the biggest matched betting day of the week for me. I try and hit as many of the offers as I can. I'd read about the Tab Multiplier in the secret forum when it was first released and had seen that a number of guys in the group had been making good money from it. But I hadn't got around to taking part in it much until the last month. Even though I've made good money matched betting I'm not a huge risk taker. I was already having a lot of bets on the race. I had been using Matcha to find decent horses. Amphitrite showed up green so I stuck on my bet using the Multiplier. This now meant I had basically a risk free shot at $25250. I could have layed more on Betfair. 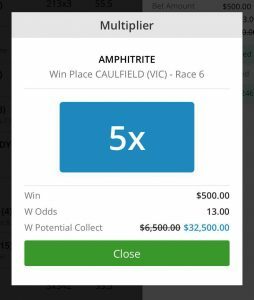 I checked the matched betting calculator and I knew I could have been on for over $1600 profit regardless of where Amphitrite came. But I decided to stick to my plan which is to just lay to recover my back amount and then get a big payout if the horse wins. Is this the biggest win you have had to date? For sure, this has been my biggest win but I've had to date but I've had plenty of other big wins. 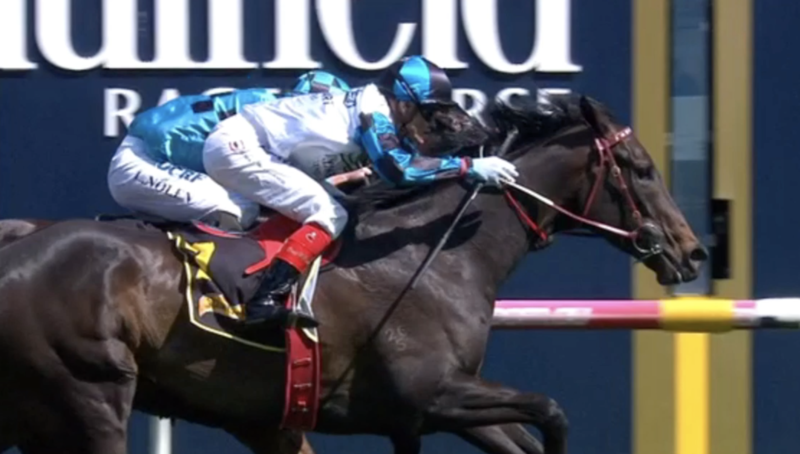 My best prior to this was when I made over $5000 in a single race before with the Topbetta Margin offer. Plenty of early payout offers have hit for me making me over $1000 at a time. My current favourite offer other than this has been the Neds Back Up which I've already made over $1500 on. Do you have any plans to spend your winnings? I'm planning around the world trip currently so this has definitely paid for that as well as meaning I'll get to have plenty more luxuries while away. But plenty of it will go back into my matched betting fund as I still have plenty of opportunities that I can take advantage of with a bigger bank. How much have you made matched betting in total? I've been matched betting for just over a year and this brings my total up to just over $55,000 which as a side hustle I reckon is pretty damn impressive. What advice would you give to others hoping to replicate your success? Join Bonus Money Pro! Seriously, I had tried out other matched betting services prior to joining Bonus Money Pro and the level of knowledge among members here far exceeds what was available elsewhere. There is so much money to be made currently with matched betting offers and you just need to get involved to make money.